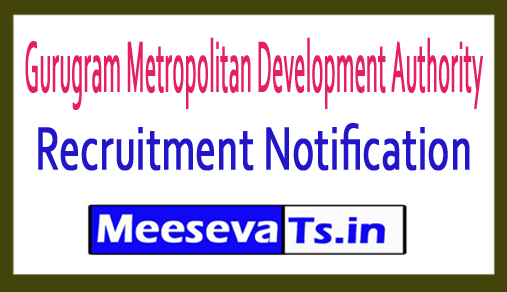 GMDA Recruitment 2018: Gurudram Metropolitan Development Authority has issued official notification for 15 vacancies of geospatial assistant, officers. Eligible and skilled candidates can send Gurugram Metropolitan Development Authority Jobs 2018 application through online mode from their official website onemapggm.mcg.gov.in. Interested candidates can apply online for GMDA Geospatial Assistant, Officer Vacancy 2018 till the last date of 17.09.2018. Candidates can download official notifications from the official website before applying for this vacancy. For more information on recruitment of Gurudram Metropolitan Development Authority, please see the eligibility details like qualification details like qualification details below, educational qualification, age limit, selection process, application fee and how to apply, important links, courses, admission papers, results, previous papers Have been given. (1) Required - Bachelor of Remote Sensing / GIS / Geoinformatics / Computer Science. Experience working on GIS platform. (2) Desirable - Postgraduate in Geosciences Science. Selected candidates will get 35,000 / - from the organization. Look around for "Geospatial Assistant, GMDA Recruitment 2018 for Officer Posts".